If you are looking for a home with everything then you need to put this home on your short list. Recently renovated throughout this home offers floating laminate timber floors throughout the living area, freshly painted throughout and modern items such as dishwasher, ceiling fans and reverse cycle air conditioning. 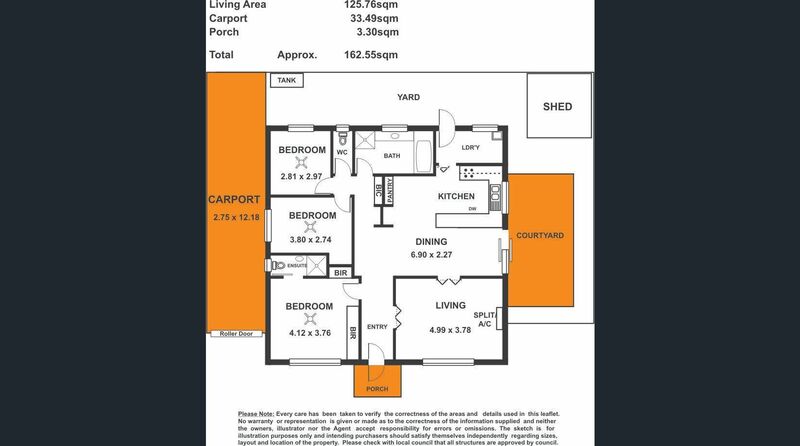 You will enjoy the space with a separate living area, open plan kitchen/dining room and spacious master bedroom with built in robes and ensuite. A built in robe is offered in bedroom 2 and ceiling fans in both. Shower and bath to main bathroom, separate toilet and internal laundry. Small block which makes yard maintenance manageable, outdoor entertaining area and undercover parking for 2 cars. Located only a short drive to the beach and city. Enjoy the convenience.